One of the easiest recipes out there. So simple I even had to try it…and now you see me sharing it. 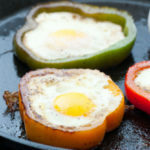 This recipe, like most other egg recipes, is perfect for anytime of the day – not just breakfast. So fire up the stove top…and enjoy! 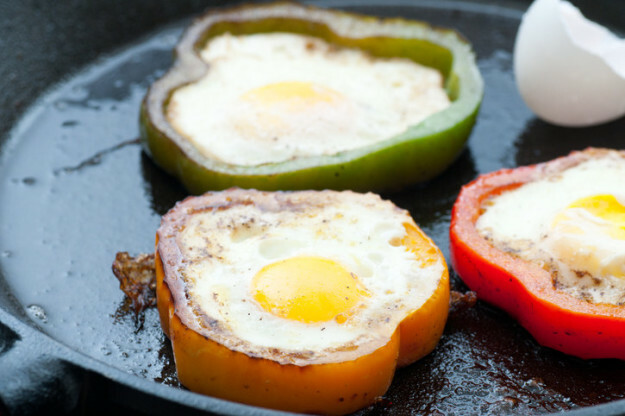 Crack an egg into each bell pepper ring. Lower heat to medium-low. Cook until whites are set, 5-10 minutes.